Gosh i'm so free now i'm updating this blog so often. 2 more days to Eliza's arrival, though i'm trying to coax her into coming out tmr, so i don't have to go thru induction. Someone was asking me wat's induction. not that it's a bad thing but there's higher risks of c-section & fetal distress. then again, it is what a lot of ppl do too...and i've read & watched many birth stories that have no issues. anyway to induce labour is to use certain medications to help bring on contractions (ie prostaglandins to soften the cervix or Pitocin thru an IV to start labour). cos after 1 or 2 weeks past the due date the placenta may become less effective at delivering nutrients around 42 weeks and other complications. so i've gotta monitor baby's movements closely, which worries me when she's not so active...and i'll try to feel for her heartbeat. thank God occasionally i feel her moving all around and especially at night when we're watching movies, she's will be like dancing inside! gosh she's getting so comfortable. i'm not sure how relevant this is but i've asked my MIL & my mum how were their labour like. and it turns out that we're all post-term babies! tho my mum said i was late 3 weeks (i was asking her if she was really really sure or not...mayb she remembered wrongly). i wonder if this has any influence on our future babies being post-term. Eliza's still happily snug and happy in my womb and doesn't seem to want to come out yet. 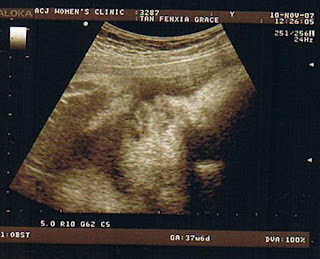 This was last week's ultrasound scan...my gynae always takes photo of her face for us to keep. usually he'll check baby's weight by measuring her abdomen & i think head shape. then check her heartbeat and water bag level. So we went for appointment again on 26th and i didn't gain weight anymore...lost 0.2kg actually. mayb due to my decrease in appetite...couldn't eat as much as i used to. She was facing to the right so we still got to see her face...tho looking really comfortable there. 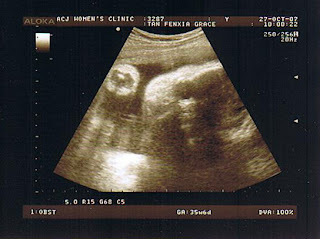 and Ww was still asking our gynae if can confirm she's a girl. great... but she's kinda quite crammed in me we couldn't see really clearly. and i guess she'll stay in till the end of the week. but on 30th nov she'll surely need to come out..so if she doesn't come out within this week, 30th nov is the day when i'll be induced (aka bringing on of childbirth by artificial means). Ww says it's a good day, cos that's when all his courses are more or less over, and saturday he'll be free. ok...i think so too..tho i'm still wondering what to do for the next 2-3 days. 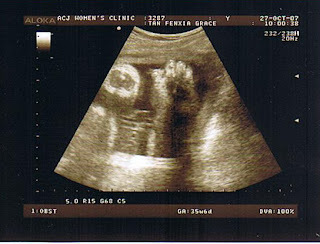 We did the CTG scan again and there were some contractions ranging from 0-90 even! ok...so i tell Ww that now i know what contractions are supposed to feel like. otherwise i think i just feel a little tightening and the poo-ing feeling, which i didn't classify that as contractions. now i'm more aware, just that i find the contractions being quite irregular and it doesn't happen all the time anyway..so far it's quite occasional. i reckon the more intense one will hurt so by then i should know if the contractions come b4 30th. 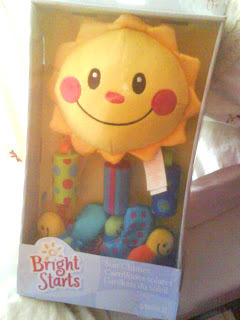 Eliza's also got a new toy :D frm Ww's colleague...so happily sunshine. makes me happy just looking at it. it's a crib/pram mobile. - We're praying for the coming labour, just as waiting for Eliza's arrival is so unpredictable (other than having to go for induction on 30th). Praying that it will be smooth cos we also really dunno what to expect, praying that Eliza will come out safely. - Also, to pray that we'll be wise and good parents...that we'll be led by God and His Word as we teach, guide & love Eliza. It's kinda boring, though nice doing nothing much waiting to see Eliza (instead of the ultrasound scan). so this is day 4 of waiting...and i start to suspect that even by sunday she's not gonna be wanting to come out yet! completely no signs!! no contractions either. :7 so i really gotta plan stuff for the next few days. friends are asking me if i'm in labour yet...in all ways...calling me, or asking me on msn (like if i don't appear on msn, they're gonna wonder if i'm already in labour). It's 5 days to due date. Seems like a long time but we're wondering why there's no signs Eliza is coming out yet. Seems like she's still quite comfortable inside. Mum & mei is back & Ww's getting a lil impatient and hoping to see her soon. 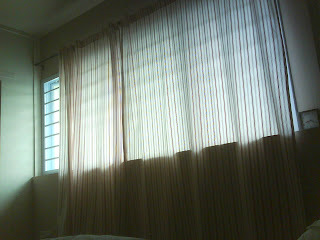 Still i like doing nothing much. just that i probably caught a cold yesterday and have been flu-ey. not really fine when the fly-ey stuff dries in your throat and gives you a sore throat in the morning. 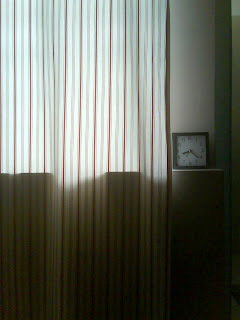 oh i wish i can sleep longer. (i'll go for a nap later...before lunch). Went for our gynae appt yesterday and so far Eliza's still fine, he said sometimes it's ok even if she comes out 1 week past the EDD as long as everything's fine. (oh no..i dun wanna waste my leave!ha..). Anyway was put on the CTG machine to track Eliza's heartbeat and mainly whether i have any contractions. so from a scale of 0-100 (100 being the labour contractions) mine was wavering from 0 to max 20+. there are contractions but i really don't feel them at all. now i'm wondering what to do today...and hoping that this running nose, flu-ey, sore throaty thing goes away quickly. It's my last week of work before i take my leave which officially starts on 19 nov.
My gynae appts are kinda uneventful, other than seeing how baby has grown which was estimated 2.7kg (and i still gained 1kg!). wanted to scan the pics but something's wrong with my scanner...it refuses to scan! 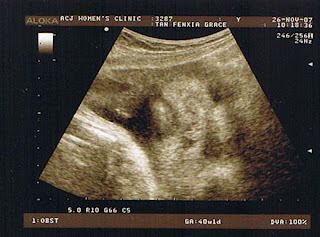 we saw her on the ultrasound and wonder when we'll really see her face. it's getting exciting! 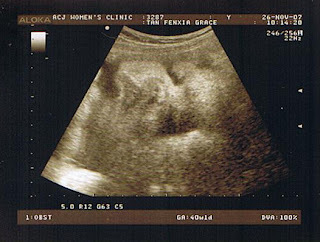 Thank God for a smooth pregnancy so far, and that baby Eliza's fine so far. 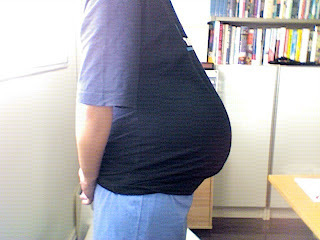 Ppl have been telling me that i seem to have quite an ok pregnancy where i don't have severe morning sickness, backaches, swollen feet or get sick and other problems I do have occasionally backaches actually when i bend too much instead of kneeling down to pick up stuff or when i wash the dishes but it's cos of me. honestly, it's quite tiring to kneel down the right way to pick up stuff...imagine standing up with extra 10kg+ of weight!! But i really thank God for all these 9 mths...to a certain extent, i have enjoyed the pregnancy...watching baby Eliza grow, anticipating things i never done before, prepared before or whatever. Now i'm just putting things i'm supposed to put in my 'hospital bag' which i've missed out. and yup...wait, anticipate. so while i wait..........i've gotta write down a list of things to do till baby Eliza 'pops'. 1) Pram...which Ww thinks we can survive a long time without it (he says he'll carry baby if need be..dun need pram)...so if anyone wants to sponsor us one, i'll be gratefully grateful. 5) i love the bedding sets at mothercare but it's so ex and the places we go doesn't have pretty & sweet bedding sets. 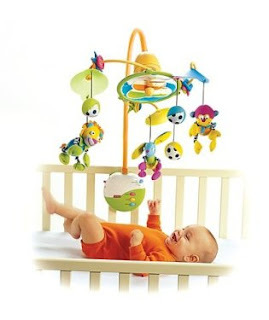 then i don't know really what else...cos we also already have the 'yo-yo', the cradle...tho i'm considering having a changing unit like the one at Ikea...but it depends (& ppl are saying the Ikea one is too light & flimsy), i'm not sure if i need it or not or can do without. so meanwhile let's wait...Ww's trying to cajole baby to come out soon though. I've grown this much! can't tell from this tshirt right? but this tshrit is really getting so tight i don't want to wear it anymore. now i'm just searching Ww's drawer for his tshirt instead. and i didn't know he was so large-sized. i feel like a blob and i feel lazy to walk too. so i feel blobby. honestly, my legs are getting more tired or more like my ankles. i'm enjoying walking slowly anyway. still i overtake ppl when i walk...i didn't know ppl walk THAT slowly. ppl are asking me if i've prepared my stuff which i think i have but i'm not sure if i have. our mums are buying all the foodies to brew to drink, and stuff to bathe. phews. it's really entering a new territory..and new phase of life, of parenthood, exciting but not knowing what to expect. Gynae appointment on sat...ooo..not sure what to expect. baby's almost full term soon and after this weeks it's the waiting game...ooo. i can't see it for now cos it's on the underside of my belly..i only see the top part of my belly. hoho. We bought pampers for baby...yay! 28 for $7.80 (abt $0.28 per piece..half the price of a Pampers one) and which prob will only last us 3-4 days i think. then will send Ww to go buy more when Eliza uses it up. oh the packaging is so nice! and the baby is so cute! 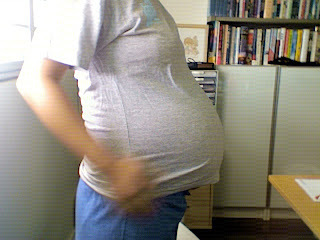 been reading up in the Nov2007 mums to be and found many of them to have 'popped' like even as early two weeks before! waiting time starts next week! Baby Eliza photos taken last week, i'm been so busy resting i didn't have time to update...or i'm juz plain lazy to plug in the printer plug so the printer can be turned on to scan these pics (cos i have to crawl under the table to do that and it's mafan to do that). Oh but she was estimated at 2.5kg then and i've gained 1kg since the last appointment. that makes 64.3kg in all. 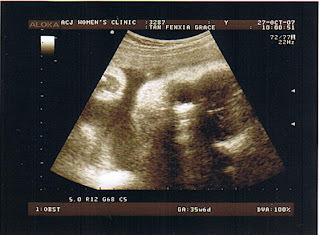 We saw Eliza's face too tho my gynae was saying that she's turning so she's starting to face backwards. check out her fingers!!!!! so cute!!!! and the many little things he doesn't usually do. and err....calling me "potato" too. now the countdown really seems to start...i've got another 2 weeks till i take my maternity leave on 19th nov (our wedding anniversary!). 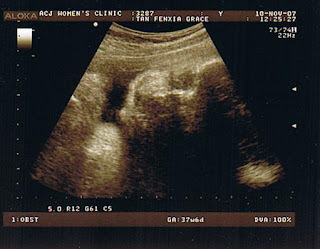 and there's possibility that baby might come out a week earlier...still we're hoping somewhere during the 19th nov week. (at least my mum & sis will be back from Atlanta by then). i haven't packed my 'hospital' bag. maybe tomorrow. i'm not sure if i remember how to bathe baby, establish feeding & sleeping etc etc.